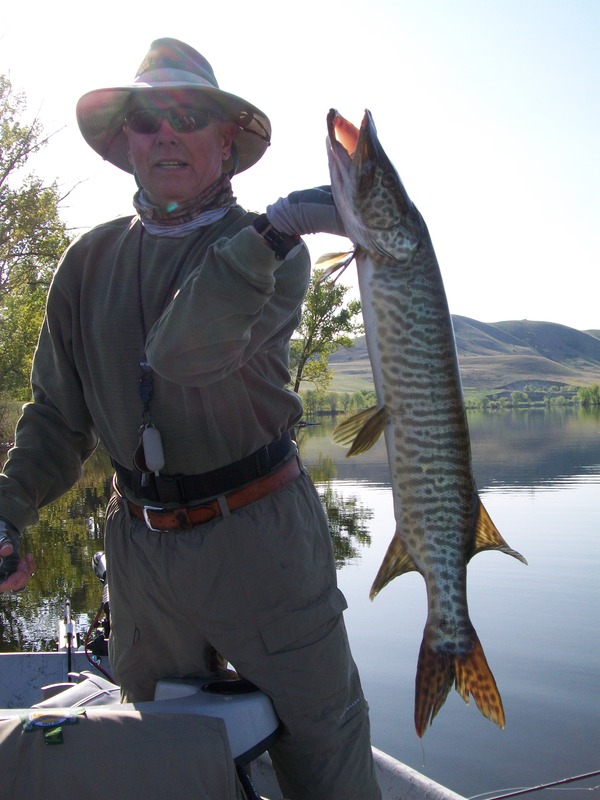 Most of us in the club are new Muskie fishing on the fly so we are really proud that a couple of us got into some on our first outing. 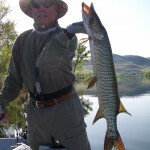 And those of us that are more experienced in Muskies on the fly got shut out. I guess thats Muskie fishing. We fished Newton Reservoir in Northern Utah. Some of the group camped over on Friday and Saturday. Other made a day of it. Jerry was the first to land one of these beast. 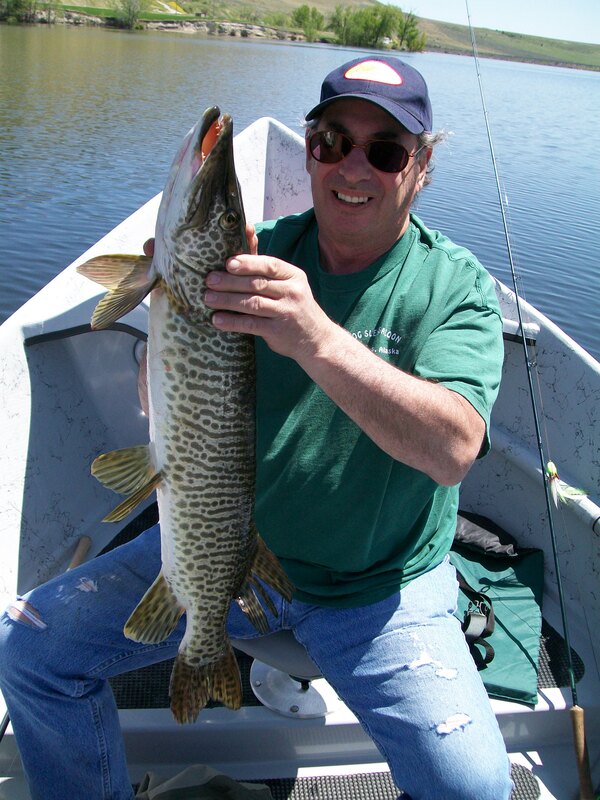 Jim and Jerry promptly made a gloat call to me to inform me that the muskies were on the bite. Great job Jerry! On Saturday, before the rest of us drove up from Salt Lake. 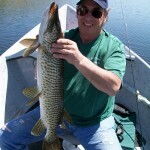 Jim had already boated 2 beast and on Sunday he got one more. Congrats Jim. You get the title of muskie slayer this year! The moral of the story is. Camp over, fish early, fish late and fish in between. Our anglers that did that had success. The others failed. But as always we had a great time. Getting a follow from one of these guys gets your heart rate going. Way to go Jim and Jerry! Wish I could have made it.